keep it simple | random thoughts from my days.. 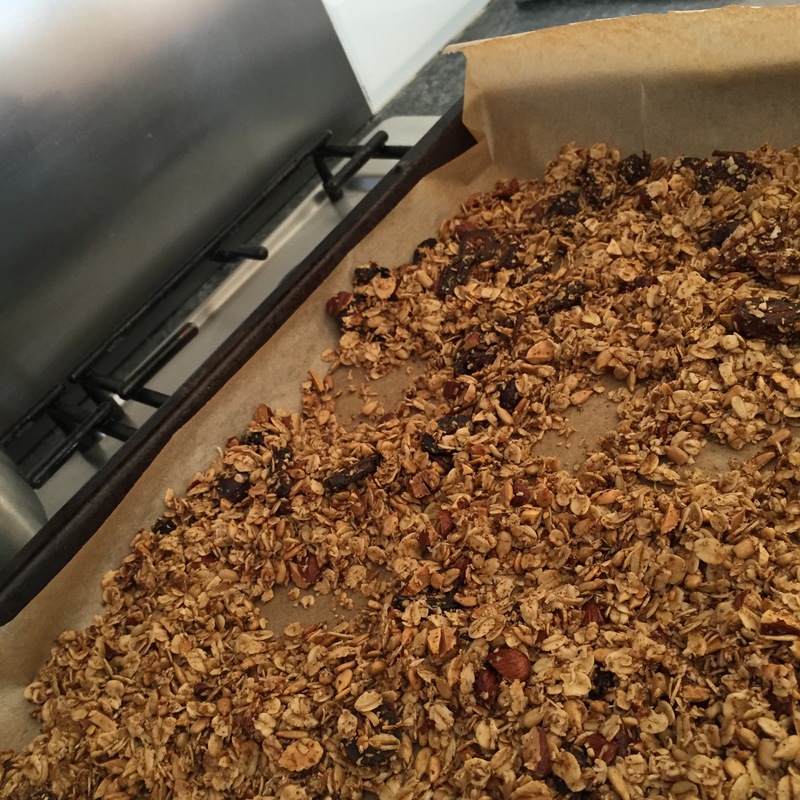 I was bored of eating porridge everyday so thought I’d give granola a whirl! This is a recipe I’ve adapted to make my own! Preheat oven to 160C, fan 140C, gas 3, 325f and line a baking sheet or try with baking paper. In a mixing bowl add everything apart from the vanilla and coconut oil and mix to combine. Melt oil and vanilla gently in a small pan then tip into dry ingredients and mix well until everything is evenly coated. Tip onto your baking sheet and spread into and even layer. Pop in the oven for half an hour until golden brown, check every ten minutes and give it a bit of a shake or move it around with a wooden spoon so it cooks more evenly. Leave to cool before keeping in an airtight container! 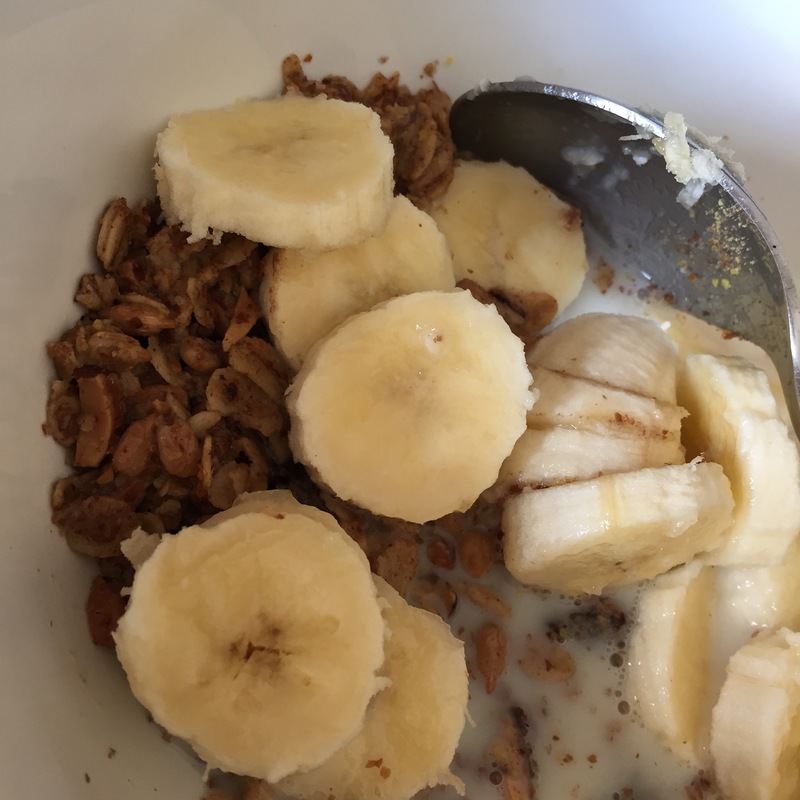 To serve I mix in a desert spoon of flaxseed, add half a sliced banana and pour over cold oat milk! I had some left over tomato sauce so today I used some up with my lunch! The tomato sauce is simply an onion chopped and fried in a little oil until soft, add a crushed clove of garlic or some garlic granules, some Italian herbs and a can of tomatoes, season and simmer for half an hour ish. 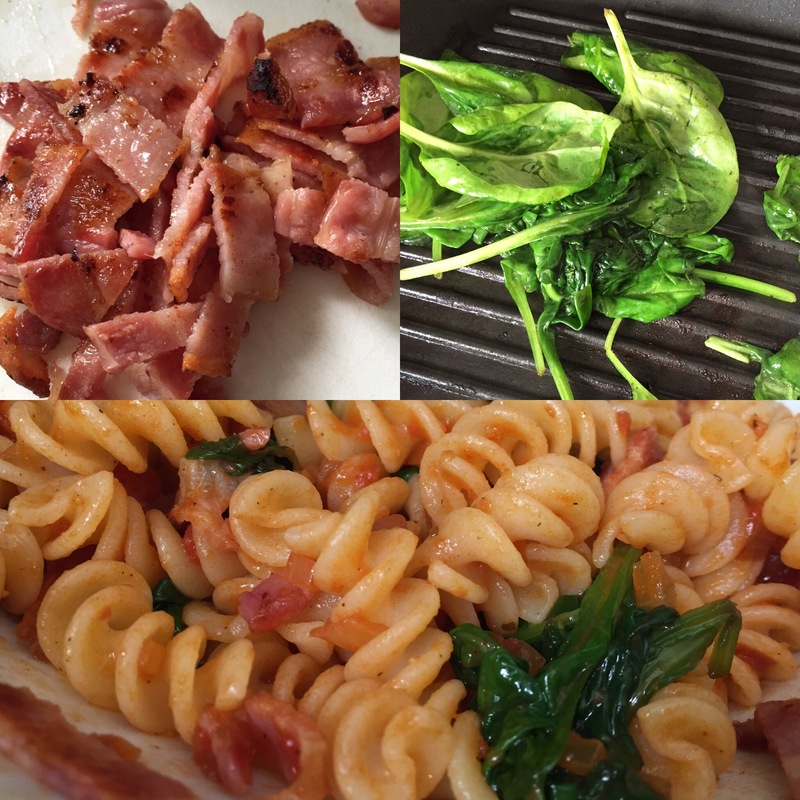 While pasta is cooking (I use gluten fre) I griddled some streaky bacon on the hob, removed from pan and used the juices from bacon to wilt a large handful of spinach leaves. Remove those from pan and then reheat the sauce in same pan (don’t waste the bacon flavour!) chop the bacon, then toss everything together! Next time I’ll add half a cup of sweet corn to the pasta while its cooking as think that would make this dish a bit extra yummy! Would also work with chicken I imagine! the last lot of baked beans I made used the slow cooker and dried beans so a lot of soaking and then a day of cooking involved! 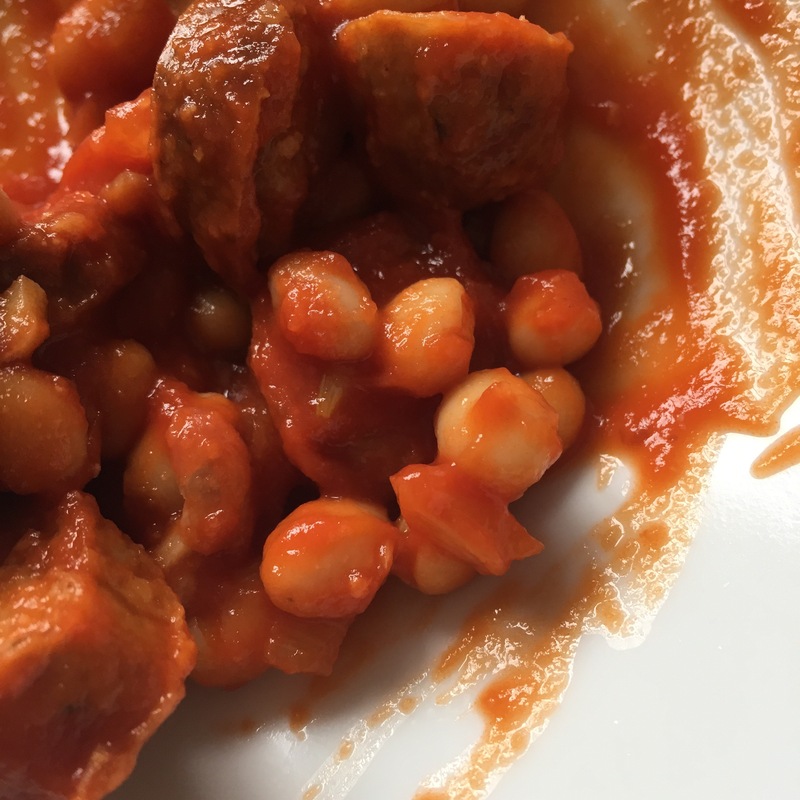 I wanted to make some a bit quicker yesterday so I bought a can of haricot beans and some passata. To cook I chopped an onion and gently fried in a splash of oil for about 15 minutes or until onions are soft. Then I added the passata, drained beans and seasoned with garlic granules (good shake), salt & pepper (to taste). Left it to simmer while sausages were cooking (half hour ish) and that’s it! They were lovely! So I decided to quite sugar! Here’s why.. Although avoiding the foods that came up on my York Test intolerance test, I was still experiencing flare ups every few days, although they weren’t as bad, it was a bit disheartening after following the advice of the nutritionist. I was still convinced that it was food related though. 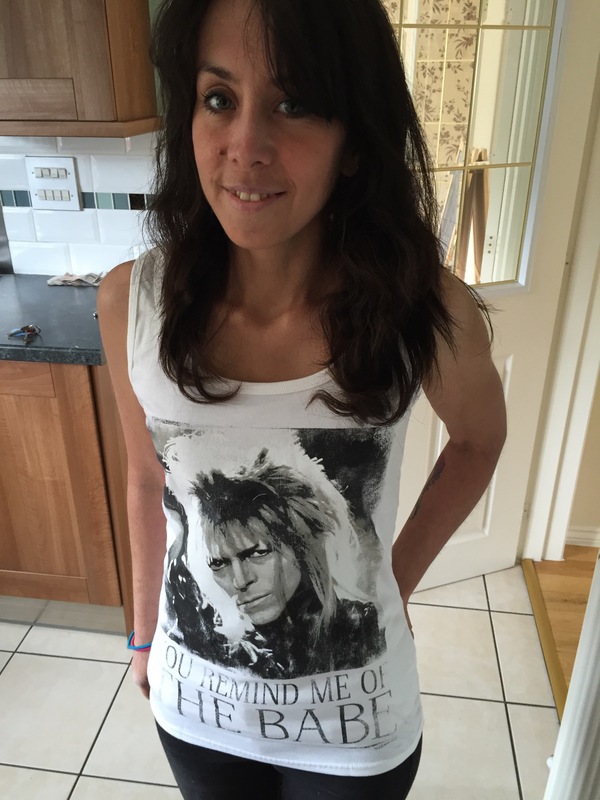 The first few weeks of the diet I’d seen a big improvement, then things seemed to plateau and I wasn’t getting the really clear spells in between the flares, that I had been. 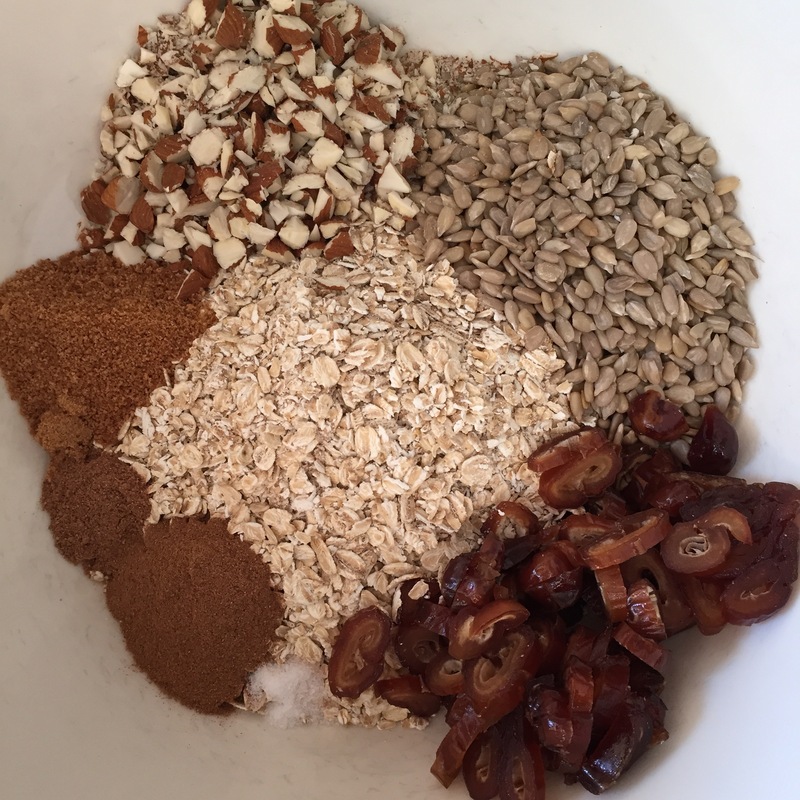 The only thing I could think of was that I’d switched to maple syrup as my sugar substitute and was baking more sweet treats than I had been. Also I’d been drinking a lot more coffee than I used to (which I was sweetening). 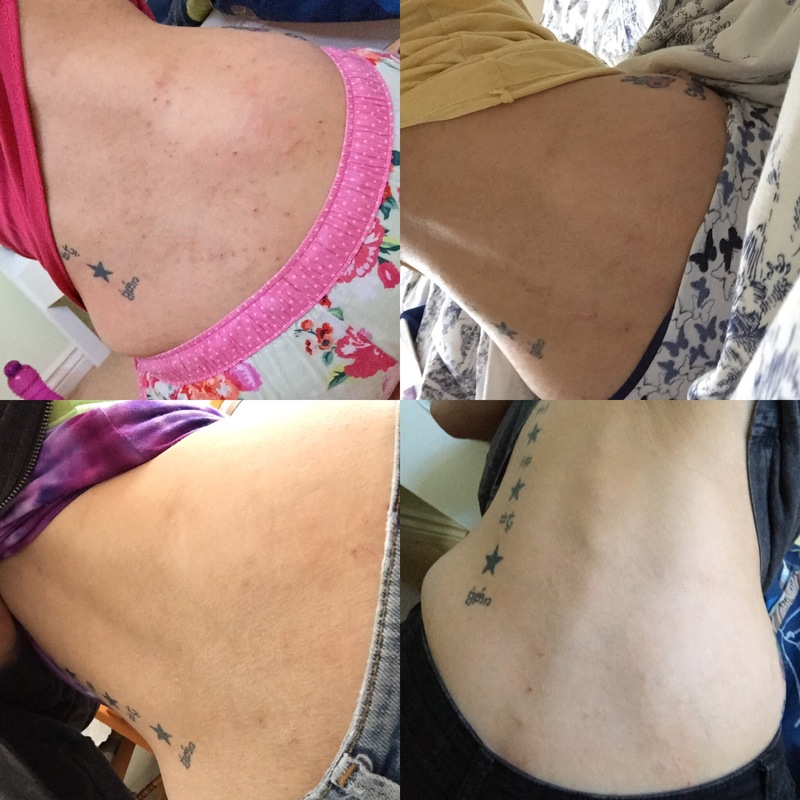 The first photo was the 4th of June during the last flare up, the last photo a couple of days ago, the other two were in-between but I didn’t make a note of the dates! 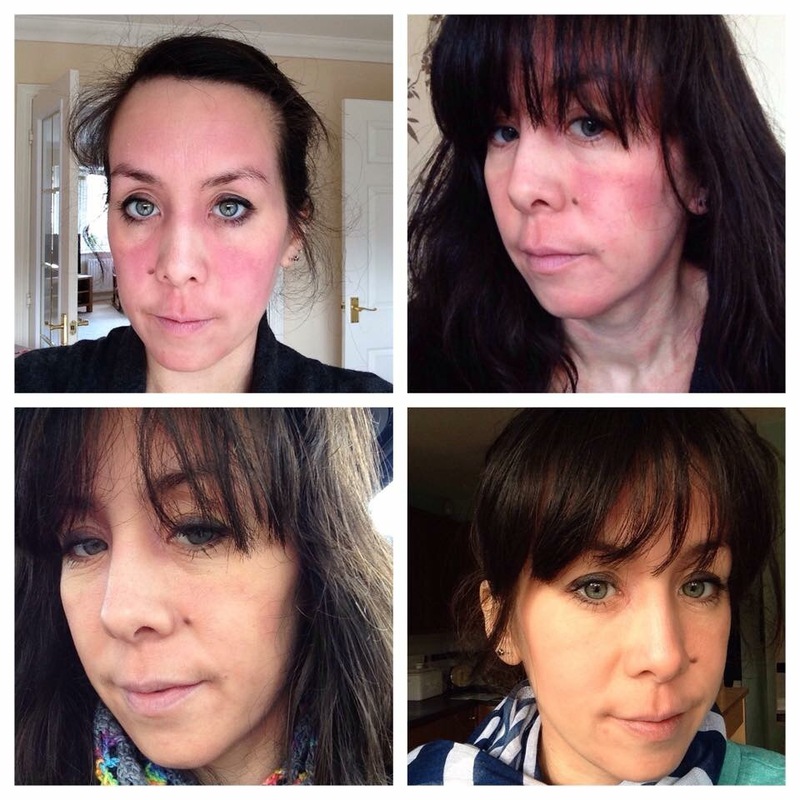 These are photos of my face when I first started the diet and the first clear skin period since starting, the flares up until the 4th June weren’t as severe as this so cutting the other food was helping, but since quitting sugar, my skin has been like the last photo with no flare ups, I’ve even been able to switch to a thinner moisturiser! I’m now feeling better than ever, cutting sugar hasn’t only helped my skin but made me feel a lot happier and healthier generally! Surprisingly I haven’t felt like I miss any of the banned foods, apart from the odd time when I can smell chocolate or buttered toast! If you suffer from a skin complaint and have tried the usual triggers – wheat, gluten, dairy etc I’d definitely give the no sugar thing a go! 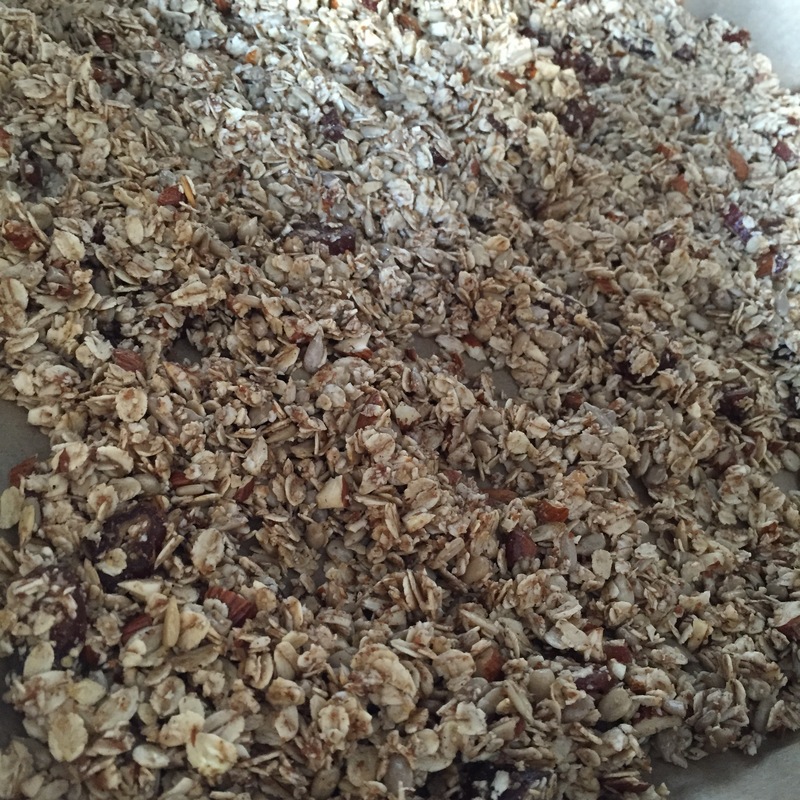 I have this recipe a go the other day and I really like it! Although mine didn’t look anything like their photo, they taste lovely! 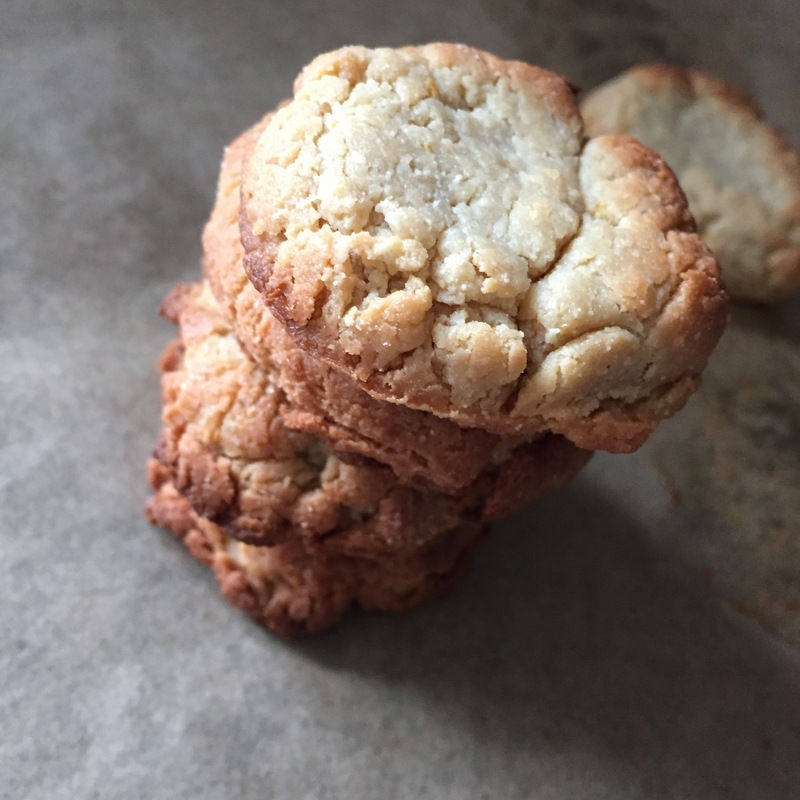 I made the cashew butter by just processing raw cashews in a blender, nothing else needed, just keep blending until it turns to butter – lots of patience required! You’ll need to keep pausing and pushing the cashew crumbs down off the sides, maybe give the processor a rest every now and then. 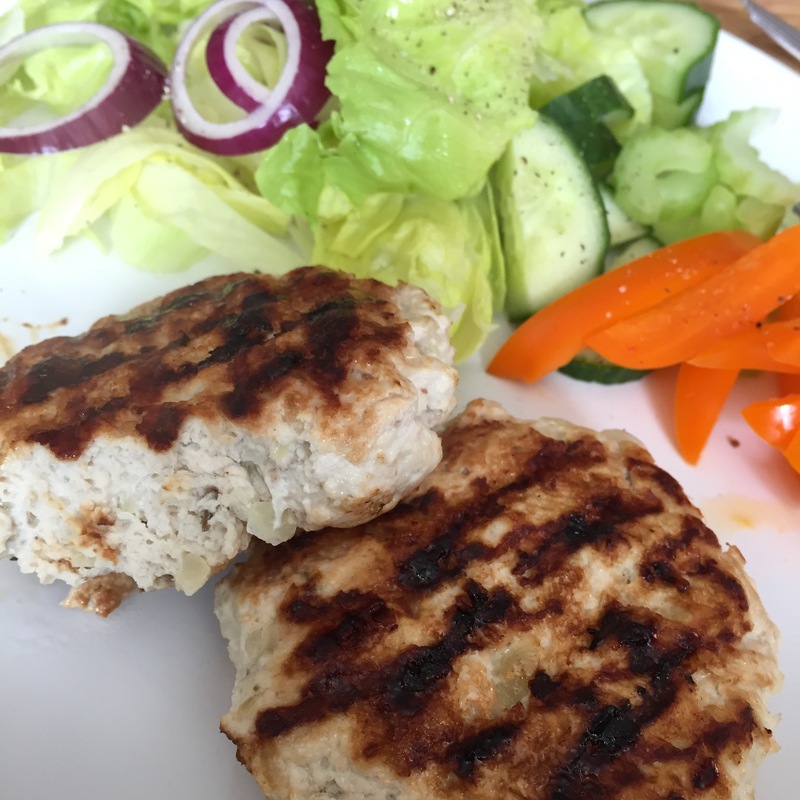 Turkey burgers, no egg, no breadcrumbs! Fancied something different for lunch today and as my chap is home thought I’d make us some burgers! I was a little worried that without an egg or breadcrumbs they wouldn’t work but they worked a treat! Chuck the garlic and onion into a food processor and give them a quick whizz, then add the remaining ingredients and process until well combined. Form into about six burgers, or eight smaller ones. I laid mine on my meat chopping board then refrigerated whilst chopping the salad. 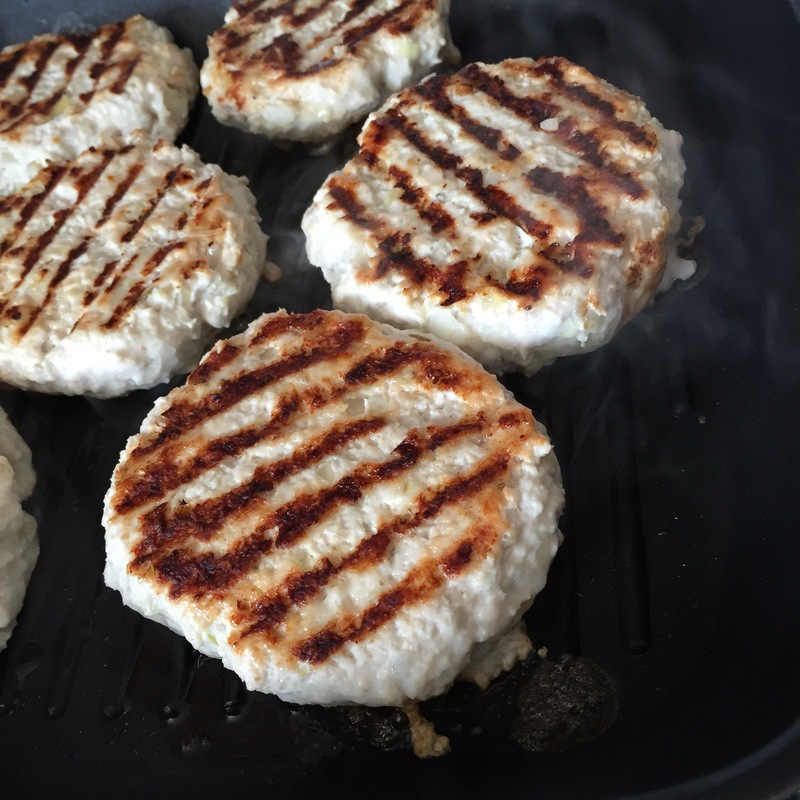 Heat a griddle pan on medium with a little oil and cook your burgers for around 15 minutes, flipping occasionally. Serve with salad and homemade chips (we didn’t have chips as thought it might be bit heavy for lunch) and if you wish a bun and ketchup! 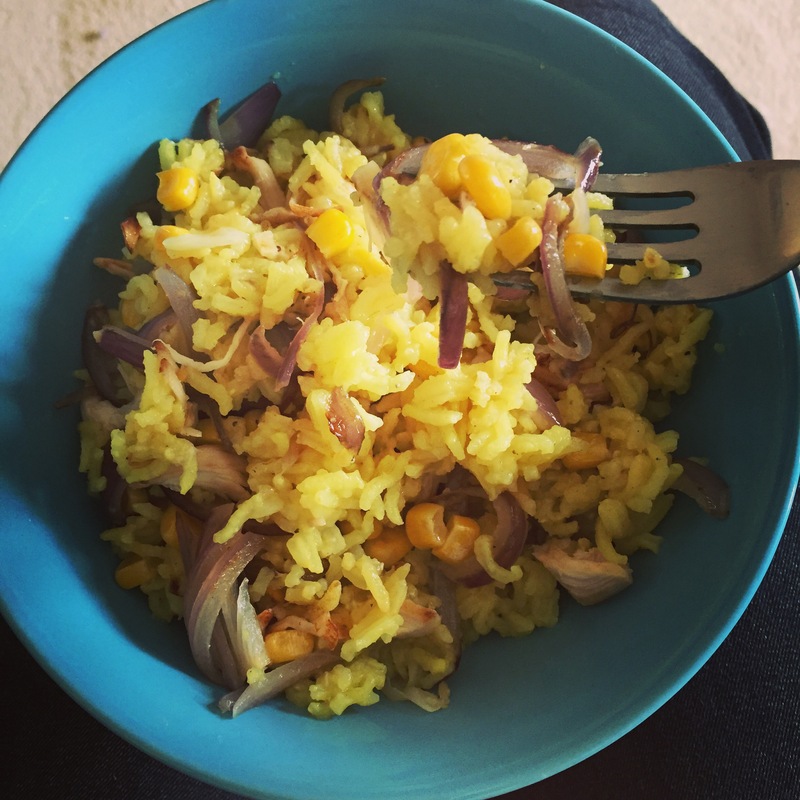 Today I wanted to use up some left over roast chicken for lunch so thinking ahead I cooked some rice this morning so it was cold by lunchtime. I added half teaspoon of turmeric to the water and some salt.